Facebook is trialing a new feature that should make it easier to rifle through your saved posts and find the ones you actually want to revisit. 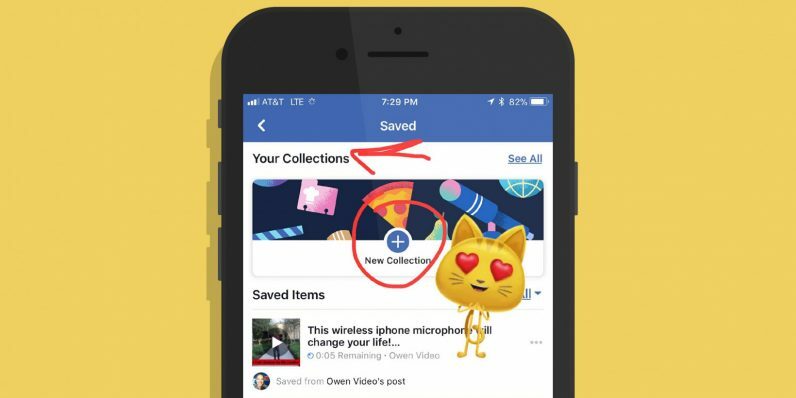 It’s called Collections, and it’s similar to the Instagram feature of the same name that launched in April: in addition to saving posts from your feed to an ever-expanding list you can retrieve later, you’ll now be able to organize these into folders for easy retrieval. The update was first spotted by social media professional Mari Smith; from her screenshots, it appears to work in a similar fashion to Instagram’s Collections. When you choose to save a post from the three-dots menu, you’ll see an on-screen prompt to organize it into a Collection. You’ll also be able to create and view Collections in the Saved items list. That’ll certainly come in handy for folks who like to read posts and watch videos later. I spot a fair bit of fun and informative content in my feed, and have plenty of items stashed away for later – but it’s easier to go through them when they’re neatly arranged in folders that I can approach depending on what I’m interested in or have time for at that moment – like long reads, funny videos, and new music. It might also be useful for those who interact with plenty of groups, and shop through the social network. Facebook also has a browser extension that lets you save pages from anywhere on the web to return to later, so the ability to categorize all these items will no doubt be appreciated by fans of the tool. The Collections feature seems to only be available for a small number of users at present; it isn’t clear if it’s fully ready for prime-time yet, or when Facebook will roll it out to more people. We’ve contacted the company to learn more and will update this post if there’s a response.